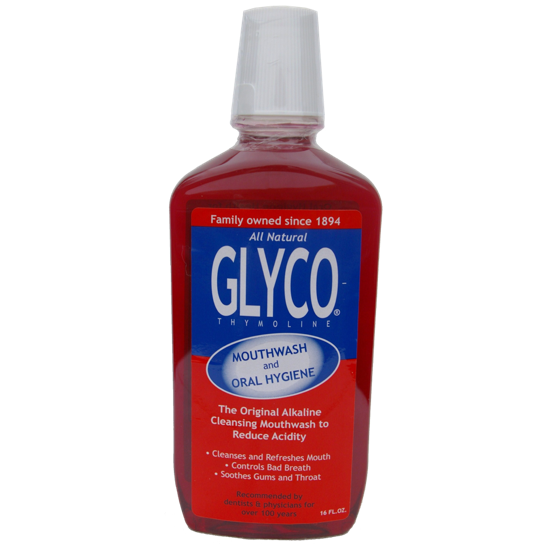 A family tradition since 1894, Glyco-Thymoline (Glyco) is the original alkaline mouthwash and gargle. 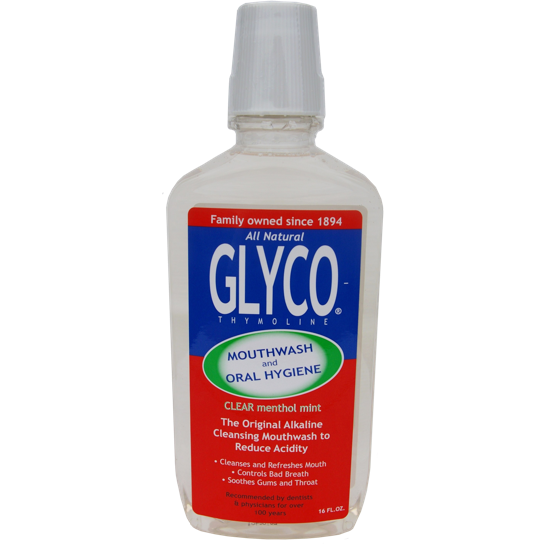 For over a century, physicians and dentists around the world have recommended Glyco as an important part of a good oral health program. Glyco can be used as a spray, rinse or gargle, diluted or full strength, as often as desired. Glyco-Thymoline packaging is made with recyclable material. Glyco-Thymoline is Natural Products Association Certified.